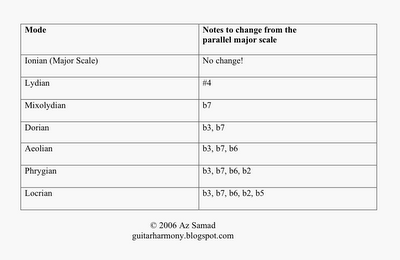 Here are the seven modes of the Major Scale shown in a paralel approach with all the scales starting on the same root. 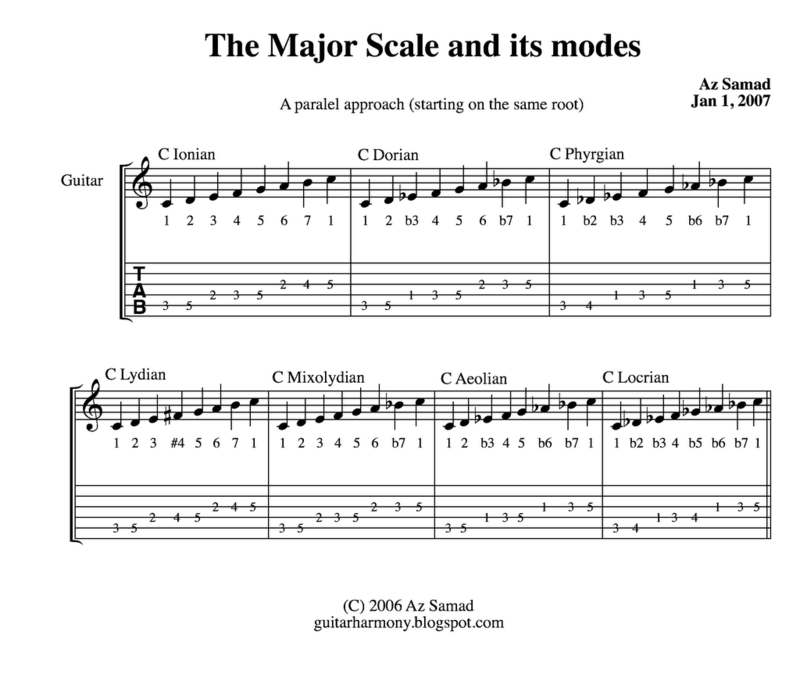 I found that playing modes this way was an ear-opener to me when I first started learning about modes. 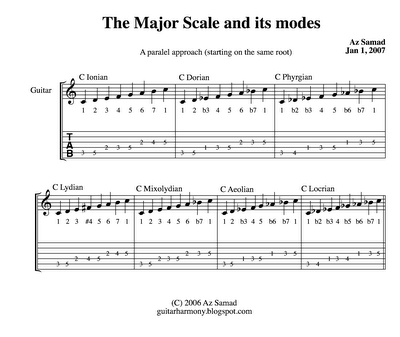 Rather than viewing them from the same major scale (C Major, D Dorian, E Phyrgian etc. -all are from C Major), by playing the modes from the same root, you get a better sense of how the modes sound in relation to one another. 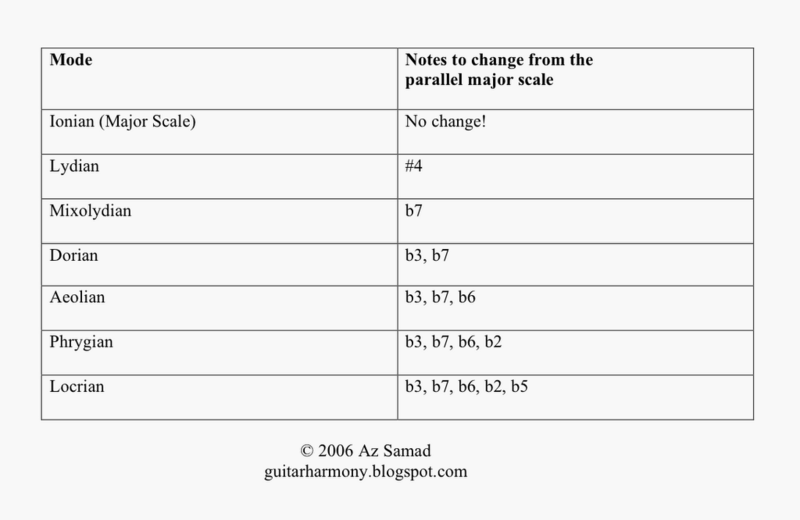 In terms of naming the modes (when someone asks - what are the notes of "your mode of choice"), I usually derive them by changing the notes from the major scale off the same root. I'll blog more on this in a future post! Like always, feel free to e-mail me at guitarharmony at gmail dot com should you have any questions.